Imogen's Typewriter. : Guest Post: How to Get Out of a Reading Slump! Hello everyone! I’m Lauren from cruelty-free lifestyle & book blog What Lauren Did Today. When Imogen asked me for a last-minute guest post I of course had to fulfil my blogger friend duties and threw together this post for her (and you). I actually feel very special to be posting on Imogen’s Typewriter as I’m such a religious reader of Imogen’s and it’s always lovely when someone wants to share their own little piece of the internet with you! Reading slumps happen for lots of different reasons. It could be down to business, you could have read a crappy book that sucked the reading excitement right out of you, or you could just not feel like reading. They’re pretty frustrating and certainly no fun to endure for you and your TBR pile so today I thought I’d share some tips for getting out of a reading slump. 1. Read something short. If your reading slump has left you surrounded by half-finished books then maybe it’s time to finish one and it’s a lot easier when the book is only 90 pages long! Sometimes just the feeling of finishing can inspire you to pick up another book. You could try one of the recent World Book Day releases or pick up one of the short story collections on your bookshelf. 2. Read an old favourite. I find it so much easier to read something when I know the story, as it requires less effort and in a way it’s so comforting. 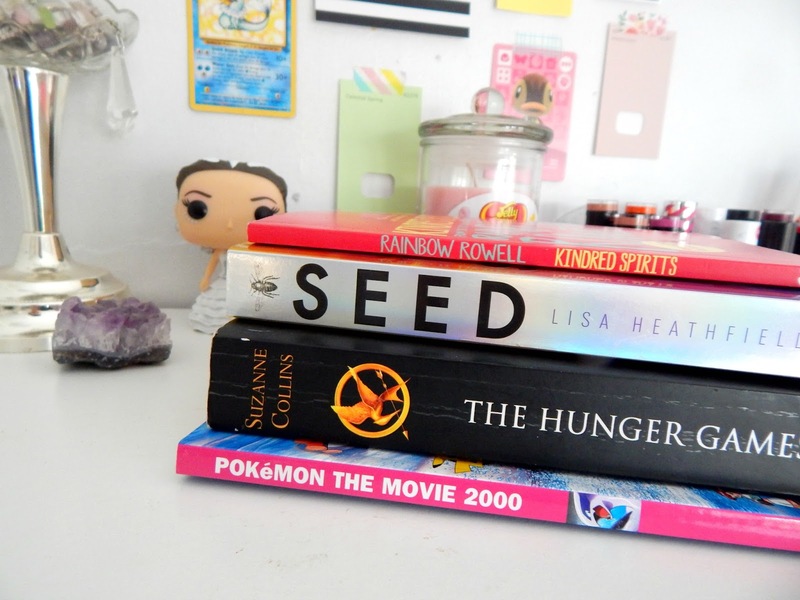 My favourites include The Hunger Games, Harry Potter and Twilight – purely because I’ve read them all more times than I can count. 3. Read in a new format. Why not try a graphic novel? Again, it requires a little less effort as the story is visually in front of you instead of you having to use your imagination too much. Imogen has a bunch of posts featuring graphic novels so definitely check those out for inspiration! Alternatively, try reading a book on your phone or Kindle. I found it so much easier to read A Game of Thrones on my Kindle as it was much less intimidating! 4. Read something that excites you. 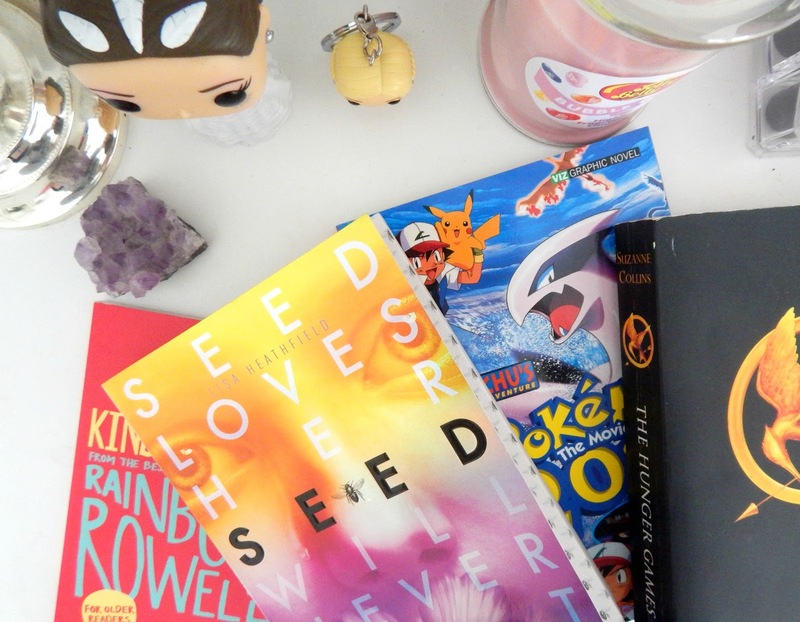 The book that pulled me out of my most recent reading slump was Seed by Lisa Heathfield. (It did, however, push me straight into a book hangover but that’s not the point.) Reading something so thrilling and with such a compelling storyline persuaded me to read and reminded me of the excitement a good book can inspire. 5. Go to your local bookstore/library and just be around books. See what’s new out, browse a new section, read the first few pages of a book you’ve had your eye on for a while. Familiarise yourself with books again without having the pressure of your TBR pile stacked in the corner! 6. Do something else. If you’re still not feeling it, then maybe it’s time to step away from the books and do something else. Try your hand at writing, browse Pinterest, go for a walk, binge watch a series on Netflix. If you’re not enjoying reading then don’t read – do what makes you happy. Feel free to abandon crappy books. Don’t force it. Let it come back to you naturally. Thank you Lauren for saving me from the stress of blogging while I'm away and writing such a brilliant post. Make sure to check out her blog as it really is one of my favourites and I'll be back to regular blogging next week!